Ice cream is the perfect summer treat. You have to cool off on those relentless summer days somehow! Fred's mom always has ice cream options in the freezer because the nieces & nephews corral at the house since there's a pool nearby. 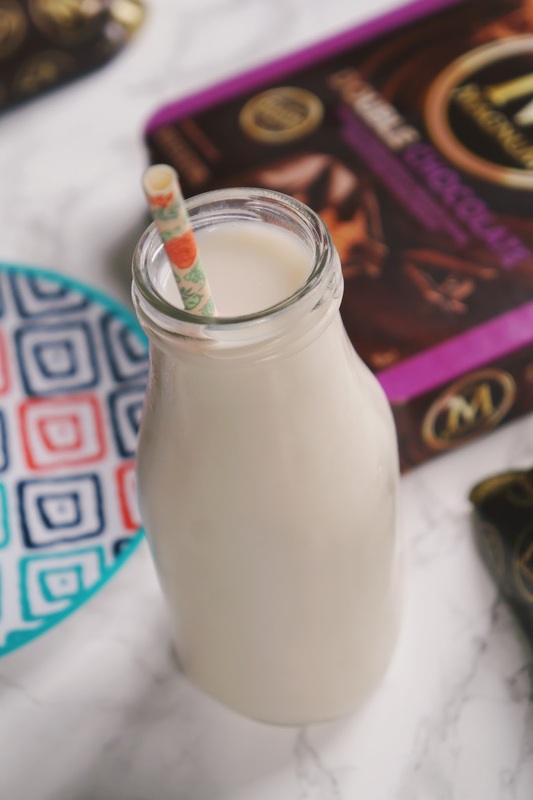 With kids come their parents, so stocking up on cold summer favorites is a necessity. Remember how amazing those hot summer by the pool would be? Ugh, divine. Well, Unilever wants to make it super easy to treat your loved ones with frozen favorites with their rewards program. 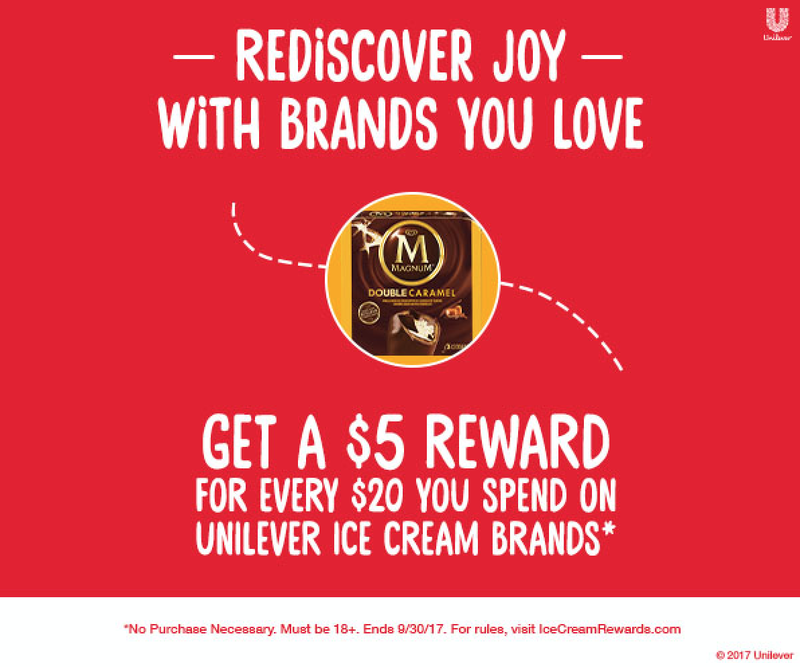 Spend $20 on any Unilever ice cream brand at participating retailers & you'll receive a $5 digital reward to use toward your next purchase. I decided to go all out & buy a variety of Magnum Ice Cream flavors. Oh yeah! I have such good memories of Magnum. I remember trying the brand for the first time during a family trip to Europe in 2010. I honestly don't remember which city or country I was in when I tasted it, but I remember thinking Magnum was so foreign, fancy, & delicious. It felt almost out of reach at the time, so it's nice to have access to it right at my closest Albertsons! Now it can be a local delicacy to treasure with friends. 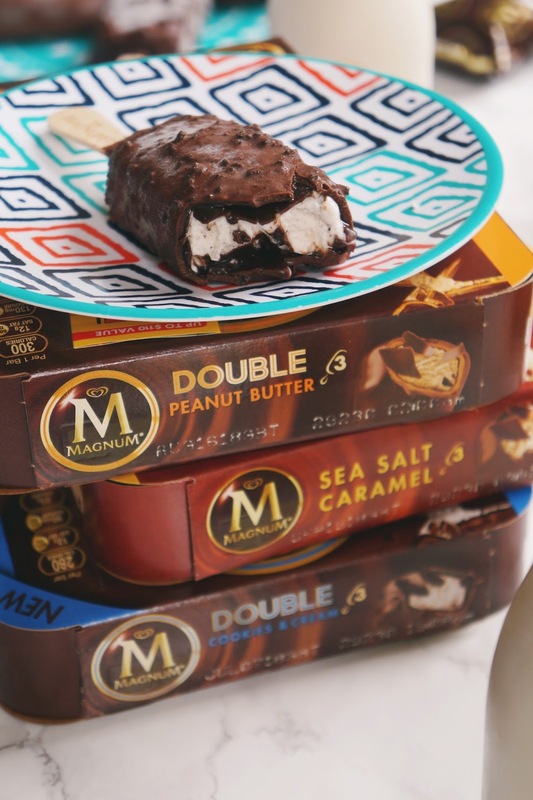 The Magnum flavors are complex, rich, & perfect to share with loved ones. You can grab a few flavors & cut them up into shareable pieces so everyone can sample. I love this option since I tend to try bits & bobs until I find a flavor I really adore. Orrrrr you could just let everyone grab whichever suits their fancy. Either way works. I bought flavors like Double Cookies & Cream, Double Peanut Butter, Infinity Chocolate, & a couple more. Can you go wrong with a name like Infinity Chocolate? I think not. The Double Cookies & Cream was creamy, crunchy, & scrumptious all around. I like to share a bar with my boyfriend, but he ends up opening a second one anyway! Take a photo of your receipt & upload it to IceCreamRewards.com & get a $5 reward. If you're one of the first 1,000 to register, you'll get a chance to win a $5 Albertsons gift card. One first prize winner will be randomly selected each week to receive a year’s supply of ice cream (awarded as a gift card). Uh, yum! Oh great... Now I have a major sweet tooth!! I love Magnum so much! These photos are making me drooling :) lol. So yummy, dear. My favorite it still the one with almonds. Beautiful shots ! 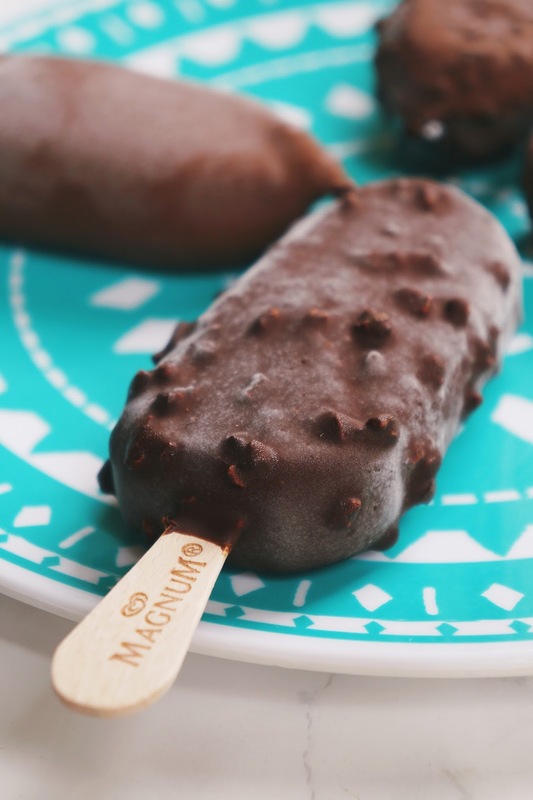 Oh my gosh I rediscovered Magnum ice cream while I was pregnant last year, and now I can't stop! The slated caramel - it's my undoing! I love magnum ice cream...I've been eating them forever! Those bars are my favorite!! I just bought the Double Raspberry and I am OBSESSED. I need to try the cookies and cream ones too. Oh my gosh, YUM! I love that it is ice cream season. :) Though I'll be honest, I'll eat ice cream any time of the year! oh, my goodness! I'm drooling right now. Perfect treats to beat the Texas heat. Thanks for sharing! 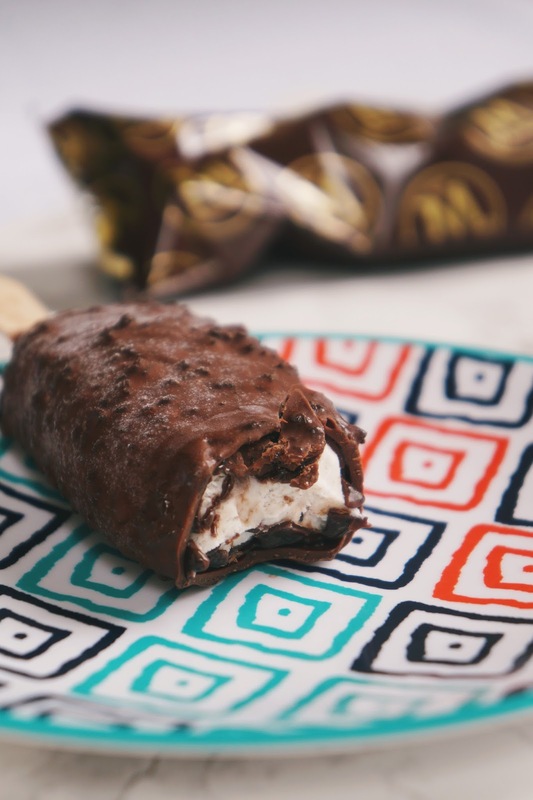 I love the Magnum ice cream bars.. They are all so divine! We;'ve never had these. That being said they look absolutely delicious. Its suppose to be 95 here today so I know what I'm getting! I love those chocolate bars!! YUMM! I am now craving one. 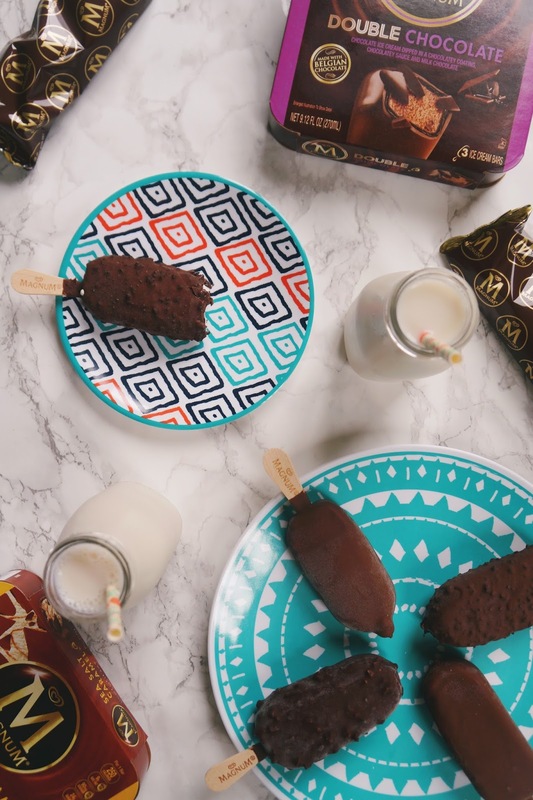 Oh my gosh, those ice cream bars look so good. I used to love ice cream in the summer when I was a kid. I've never heard of Magnum. I'm not sure they have those near me...or maybe I've just never noticed them. Needless to say, they look absolutely amazing. I love magnum bars even though I dislike ice cream. I lived off them in Bali because they were so cheap. Is this only eligible for people inside the US? Omg I've never had these bars! I want one! 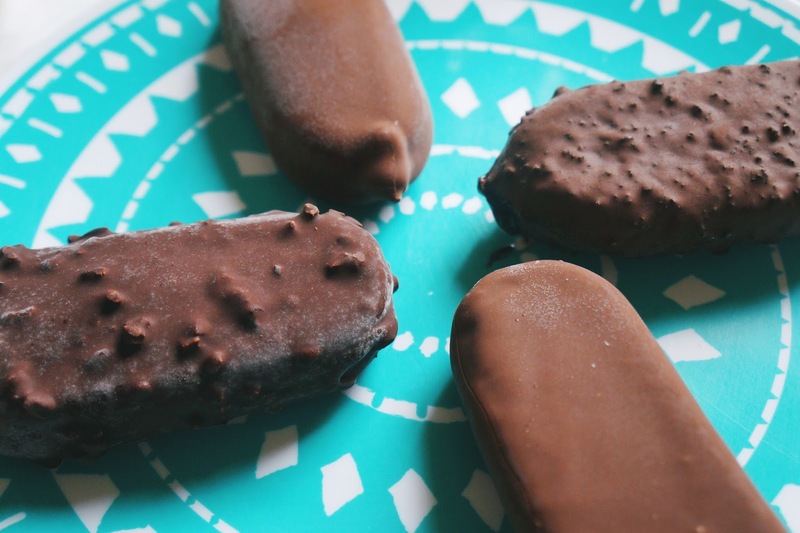 OMG these ice cream bars looks insanely delicious. I am such a HUGE ice cream fan. I totally need to check these out ASAP. Well these look like delicious treats! Love it - need to get my hands on some! These are my weakness - love them any time of the year! This looks so good. I wish i could reach into my screen and grab one.Thanks for sharing. Oh my, I LOVE Magnum ice-cream, and not just because I worked for Unilever. My favourite is the peppermint and the caramel. Yuuuum. I love Magnum ice cream! I have not tried all of the flavors but I will eventually! Ooh these look so delicious! Hmmm, I'm not too sure. It doesn't say either way on the website. I'm sorry! Summer is going to be brutal! It's been so hot! Oooh, definitely the perfect treat!